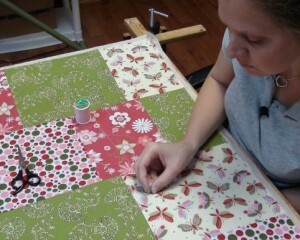 My quick 7 steps on how to make a quilt are summed up in the seven steps below. 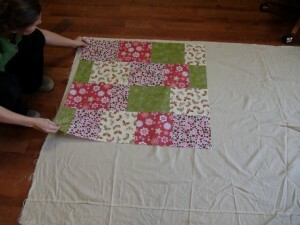 Making your first quilt a lot easier if can get a good teacher and are willing to learn some of the basics. I’ve created a comprehensive, stitch by stitch quilt making instructional video course for beginners. 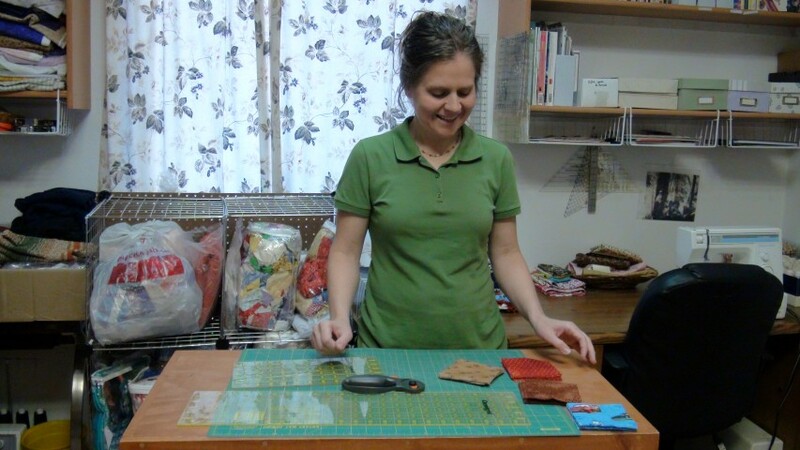 If you subscribe with my 1800+ fellow quilters below, I’ll share with you the first hour of my video course with you. There’s a lot of videos in the course, so I’d recommend checking it out here and/or signing up on the mailing list to get the first hour free to see it yourself. So, far my mailing list is a series of about 7 emails and rare updates, so no worries there. 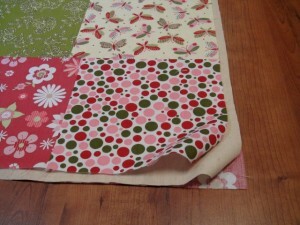 I’ll walk you thru with three easy, beautiful quilts. Happy Quilting! Once you’ve picked a pattern and the size of your quilt you want to make, you need to decide on colors and design of fabric for your quilt. 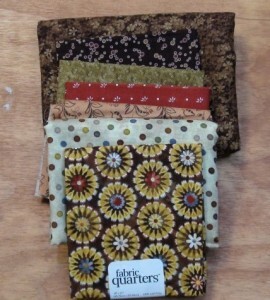 Of course deciding on who you are making the quilt for, helps out in what design, theme or colors you choose. 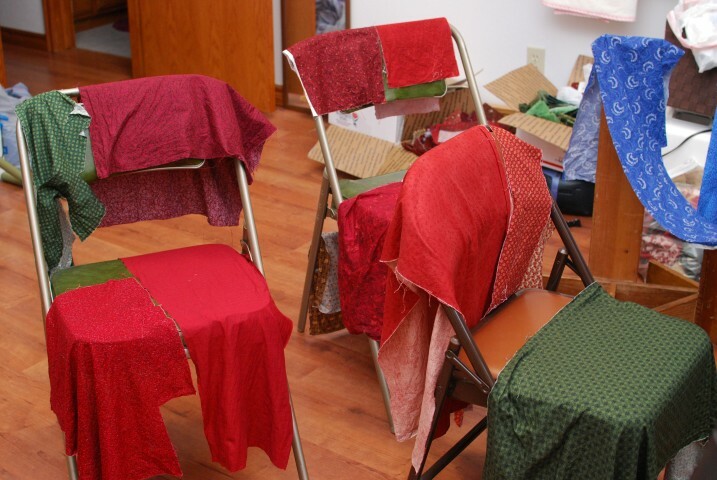 Then, prepare your fabrics by prewashing them. Dry small hand washed pieces of fabric over the backs of chairs. If they are small pieces, I would just hand wash them with mild soap in warm water in your bathroom or kitchen sink. Then just hang dry them over some metal railing or chair back. (wood could lead to mold) Bigger pieces you could wash in your washing machine and dry in dryer. Then iron your fabrics pieces and you are ready to begin cutting. Following your pattern, cut the pieces, squares, triangles, or whatever designs your pattern dictates. 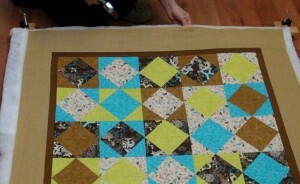 Some patterns you might want to cut the pieces for the squares (maybe an Ohio star block) and then make those squares. Then, once you’ve finished with the blocks and see exactly how big they are you can then cut the pieces for the borders or sashing that goes around each block. 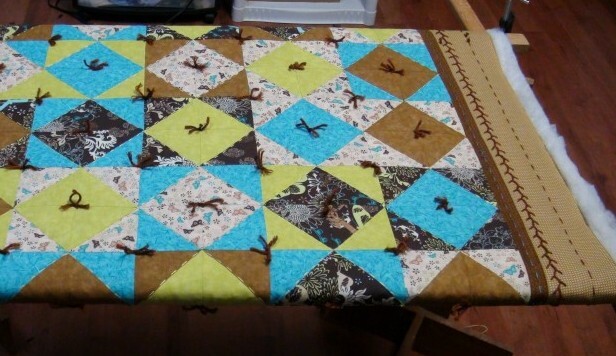 The reason for this would be in case the size of those squares changes as you sew, your border strips won’t be the wrong size, either too small or too big, and so wasted fabric, or not have enough. Once you’ve cut your pieces, you can lay them out on your design wall, or just use your floor or table like I do. 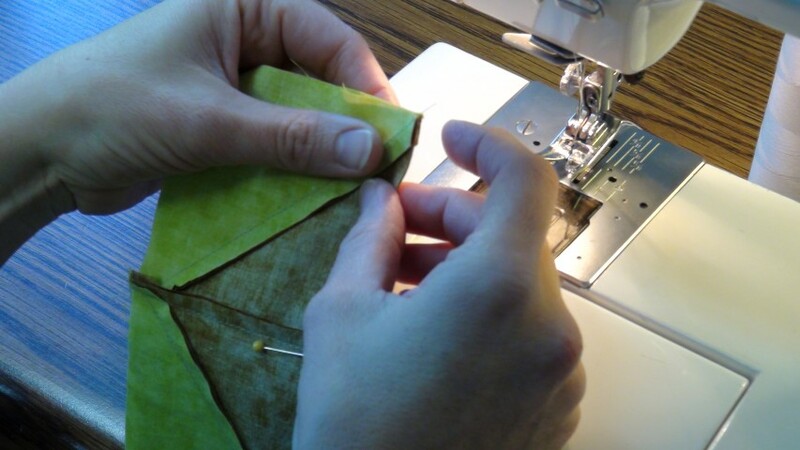 Once you’ve arranged your pieces the way you like them, you are ready to start sewing them together. 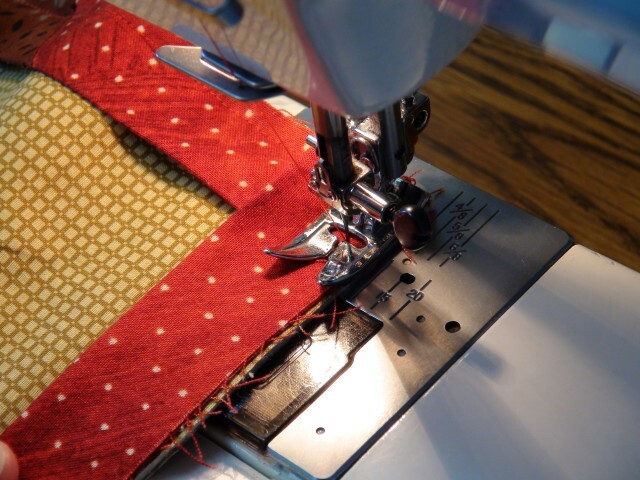 Keep following your pattern and then double check afterwards to make sure you sewed them together correctly. 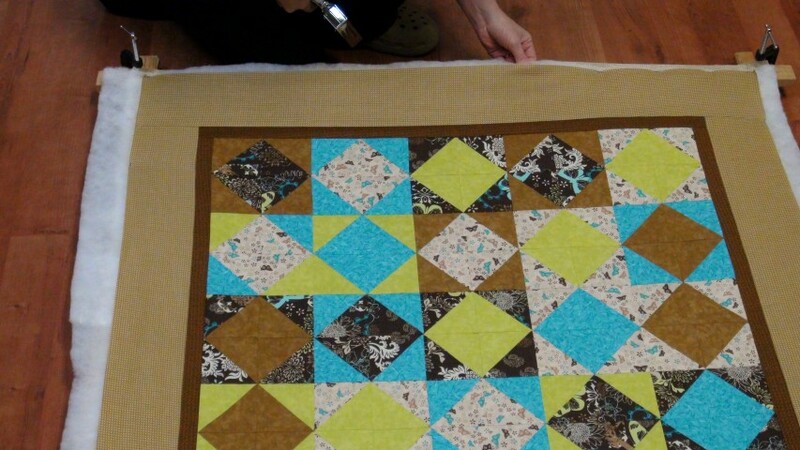 Continue sewing your quilt top together. Pin blocks first and then rows together as needed. Cut batting according to size of Quilt top. I used another fabric for my batting in this one. All three layers of the quilt. 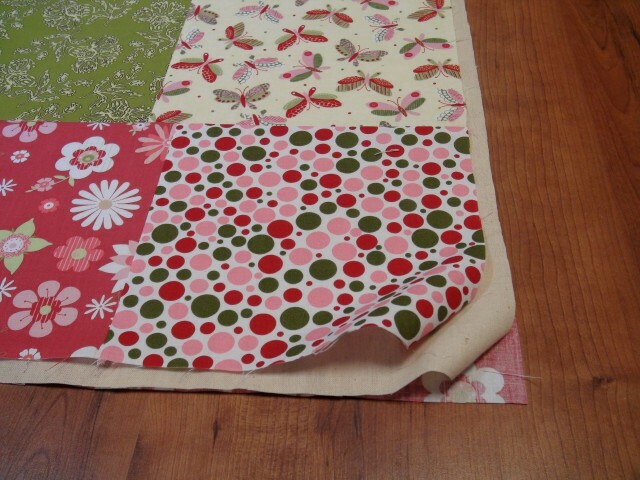 Now that your quilt top is finished, cut your backing piece and batting to the size that you need, which would be about an inch or more bigger on all four sides than your quilt top. If you have a bigger quilt top, and you need to piece your backing, do that now. Layer 3 layers of quilt. 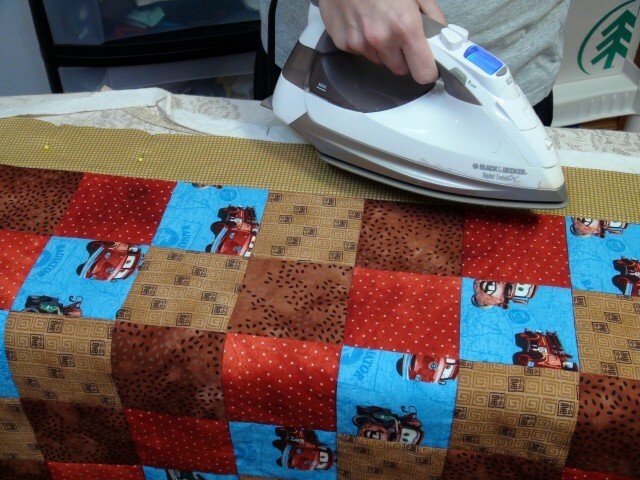 If you are going to machine quilt or hand quilt in a ring or smaller frame than the size of your quilt, you are now ready to layer your three layers, your quilt top, batting, and then backing. Layer them in the order they will be when your quilt is done. 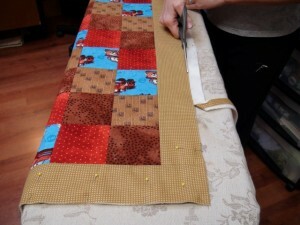 Then make huge, quick stitches with needle and thread about every four to size inches of your quilt. This is to keep the layers from shifting as you are making the final stitches which will hold the layers together. 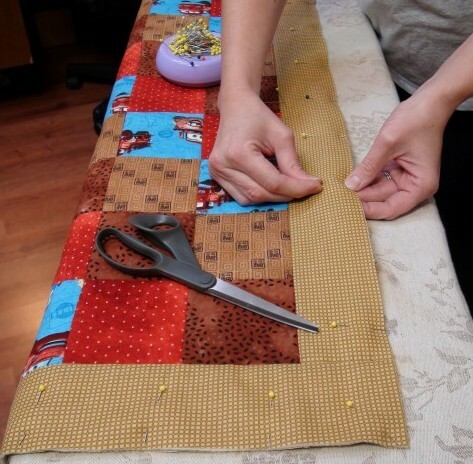 If you are machine quilting, just pining the layers with pins, or safety pins might be enough, depending also on the size of your quilt. You might not need to baste your layers with big hand stitches. I just used pins to hold my three layers together, and I got poked quite a bit. So, it’s up to you what you decide to do. 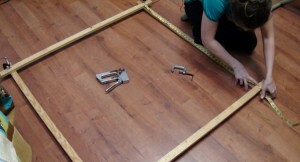 Make frame according to size of quilt. Secure quilt edges to frame by stapling. 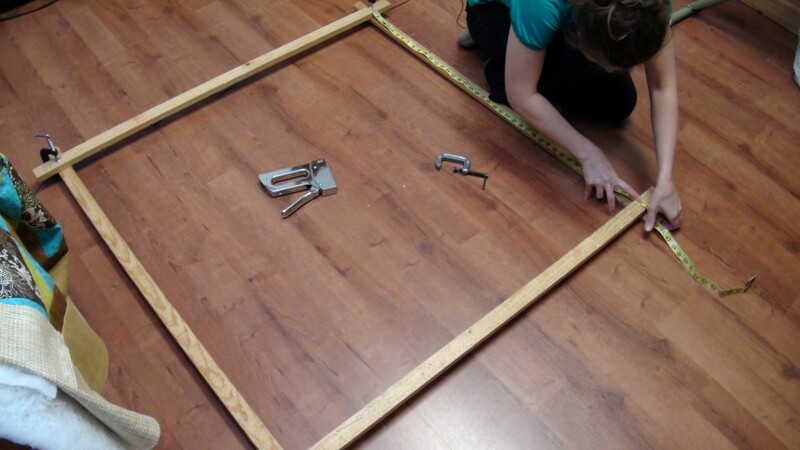 If you want to quilt on a frame with four boards and clamps and stretch out the whole quilt top, you don’t need to baste it. 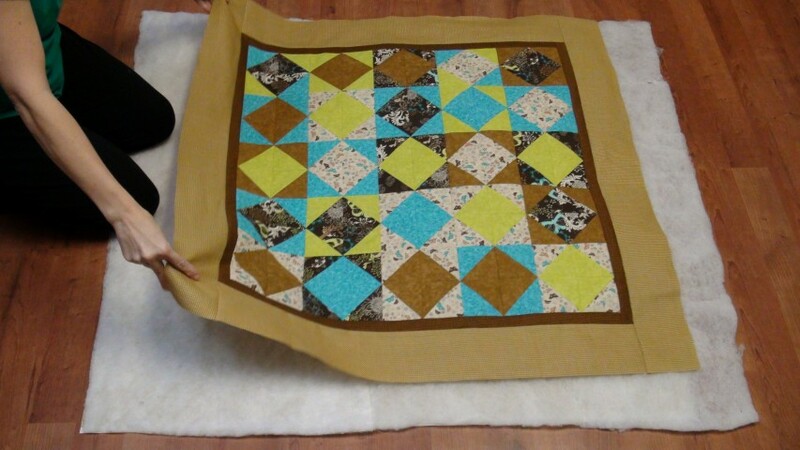 Just make your frame the size of the quilt and then tack your three layers onto the frame, and you are ready to hand quilt, or tie your quilt. 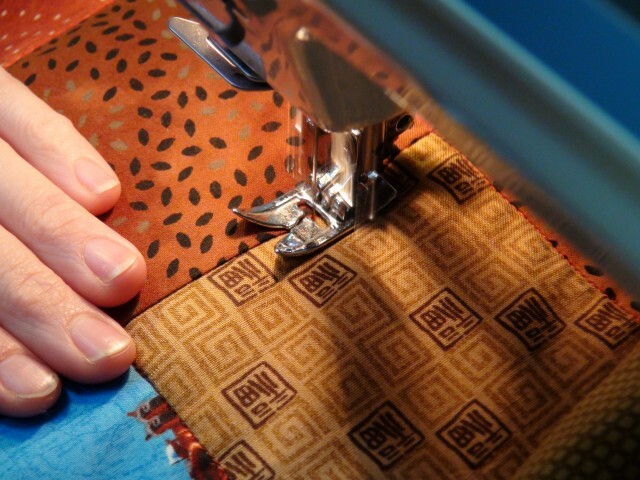 Now you are ready to machine quilt, hand quilt or tie your layers together. Or, make fancy stitches using yarn or embroidery thread. Tie your quilt or make fancy stitches using embroidery thread or yarn. ways and be creative. Come up with your own unique way. When you are done, take out the basting stitches, or just take it off the frame. 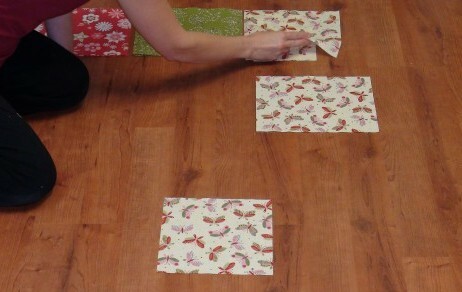 Prepare you quilt for attaching the binding. Iron edge of finished quilt. Trim and even out edge of quilt. 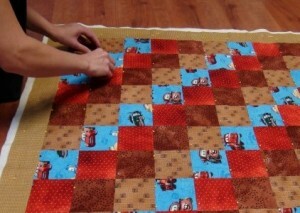 Now prepare the edges of your quilt to attach your binding. I usually iron the edges a little and then cut all three layers evenly. Then I pin the edges, putting a pin in every three to four inches. Pin 3 layers at the edge of the quilt. Now you are ready to attach your binding, and then your quilt is done. It’s not that hard to learn how to make a quilt…if you’ve got some help! I’ve got tons of hours of video that allows you to “watch and follow” along. Get one of my top tips in my video below…My “#1 Fabric Matching and Color Coordinating Secret” that will save you tons of time in the fabric store selecting fabrics — everytime! Just enter your name and email, and I’ll direct you immediately to my “#1 Fabric Matching and Color Coordinating” video tip. 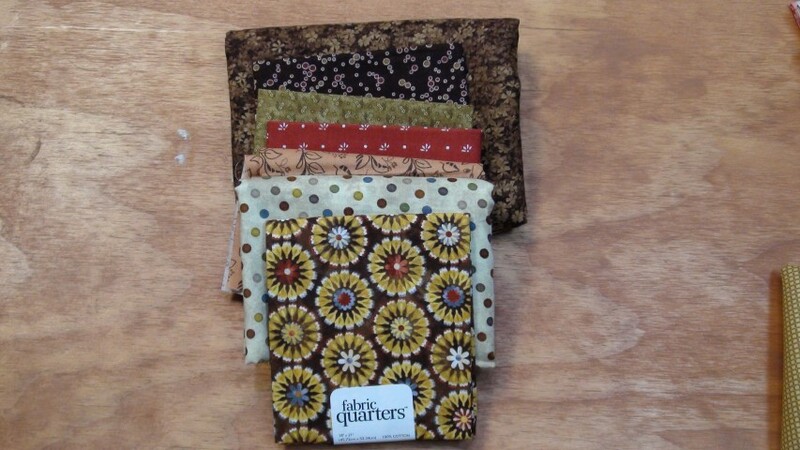 Plus, I’ll send along my answers to 20 of the topmost Beginner Quilting questions. It’s in a .pdf book format that you can open, view and print. It will help you get started and overcome common “hang-ups” that most new quilters have in learning how to make a quilt for the first time. 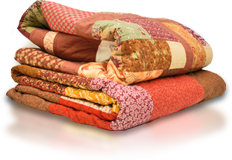 I have almost 30 years of experience quilting, and ten years of experience in my own business Custom Care Quilts. Daily I design and finish quilts both locally, and for others across the U.S.